Great Missenden, Buckinghamshire, United Kingdom, August 26, 2016, Jacquie Drake, Owner of Cool Leadership, has been recognized by Elite Women Worldwide, for dedication, achievement and leadership in organizational change and development. 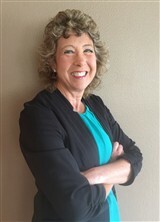 Oregon City, Oregon, United States, July 27, 2016, Sue Thoens, Chief Executive Officer of SMT Enterprises, Inc., has been recognized by Elite Women Worldwide, for dedication, achievement and leadership in entrepreneurship. 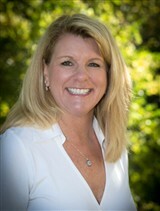 Some of Ms. Thoens best qualities are her reliability, communication, leadership and business acumen. She brings these skills to her latest venture, SMT Enterprises, Inc., a firm dedicated to empowering others through business opportunities. The firm specializes in online start-ups, coaching and mentoring, leadership development and social entrepreneurship. Working in a collaborative effort with a team of reputable peers, she has positioned herself to help impact generations of business owners. She endeavors to build strong leaders with strong beliefs, who are then able to use their power to rise up and accomplish great things. She hopes to grow the company to coach clients in 80 countries. Honeoye Falls, NY, United States, July 19, 2016, Marlaina Palmeri, CEO and President Superintendent of Believe to Achieve International LLC, has been recognized by Elite Women Worldwide, for dedication, achievement and leadership in education management. Durham, NC, March 28, 2016, Betty M. Lovelace-Ross, Owner of The Envision Consulting Group, LLC, has been recognized by Elite Women Worldwide, for dedication, achievement and leadership in community-based needs consulting.